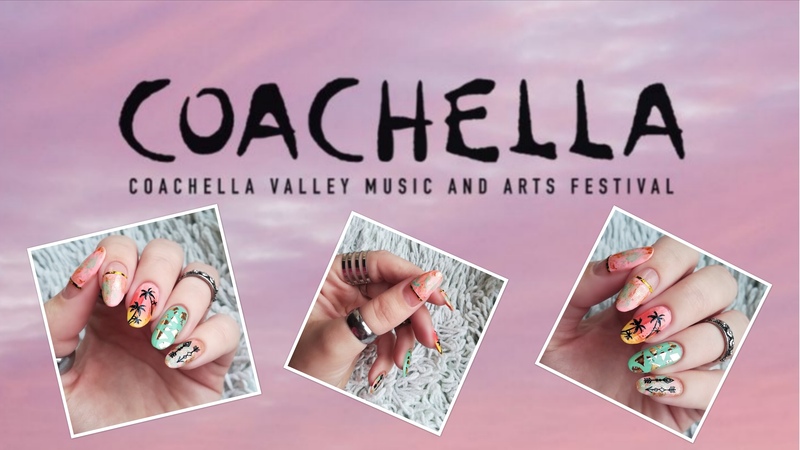 Seventy-Seven Nail Lacquer has just launched her Bohemian Rainbow Collection, which is comprised of eight bright holo polishes in shimmer bases. 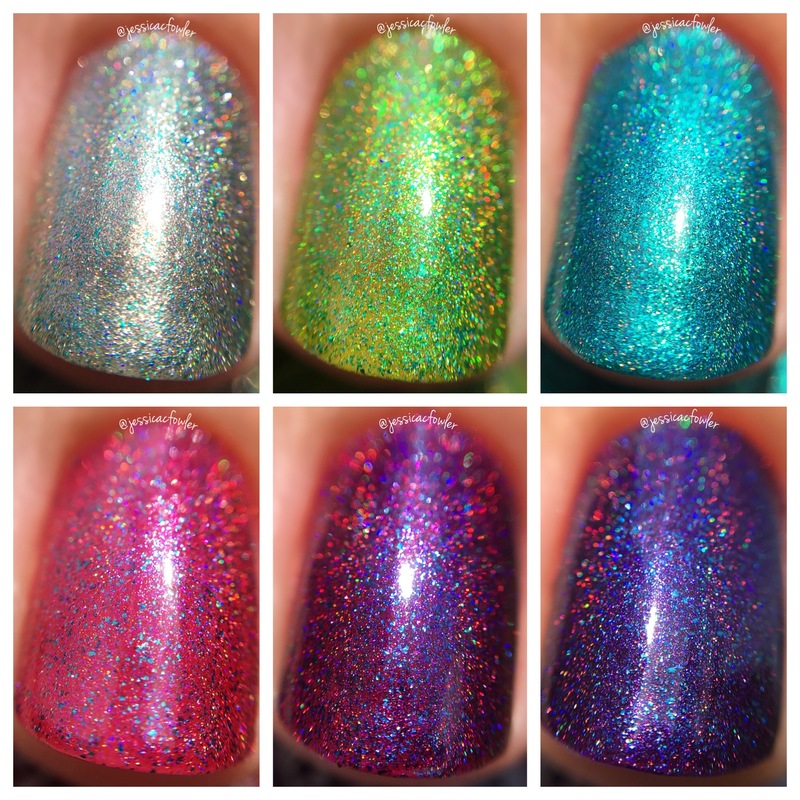 The first half of the collection is posted here and I will have the second half for you soon. 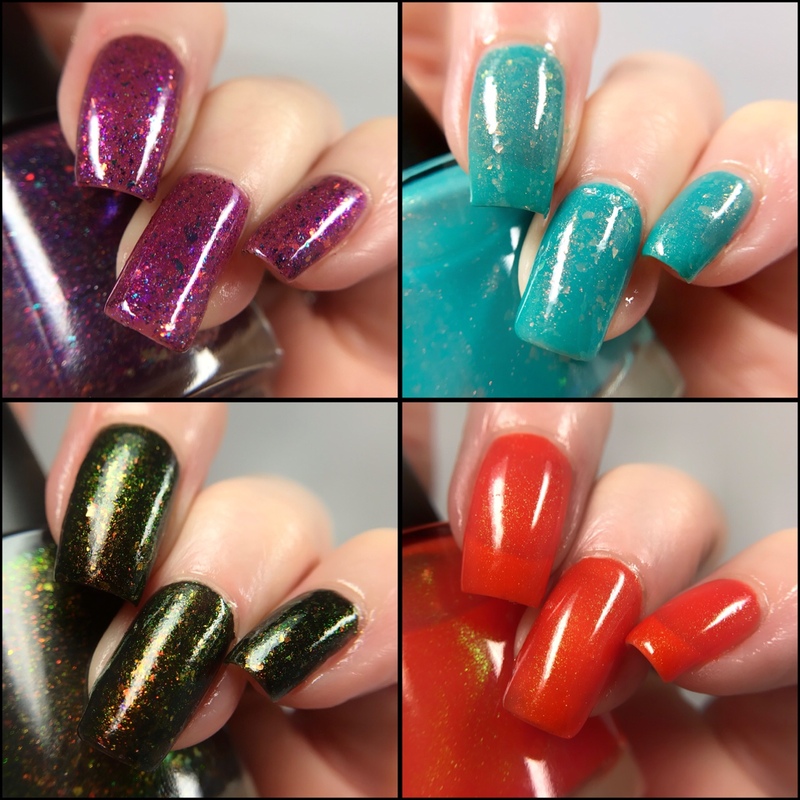 Check these out, as they are a different take on all the brights we have been seeing! 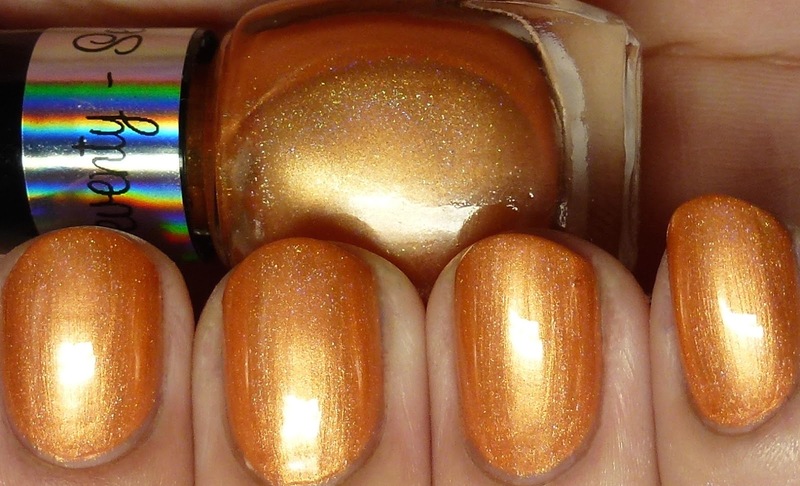 First, overall formula notes since these were quite similar. 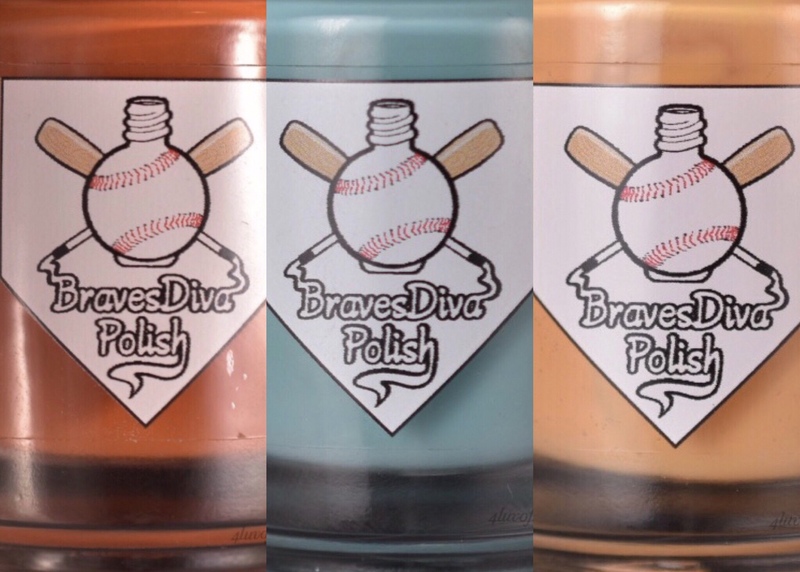 They all dry quickly and have really smooth and easy-to-control flow. 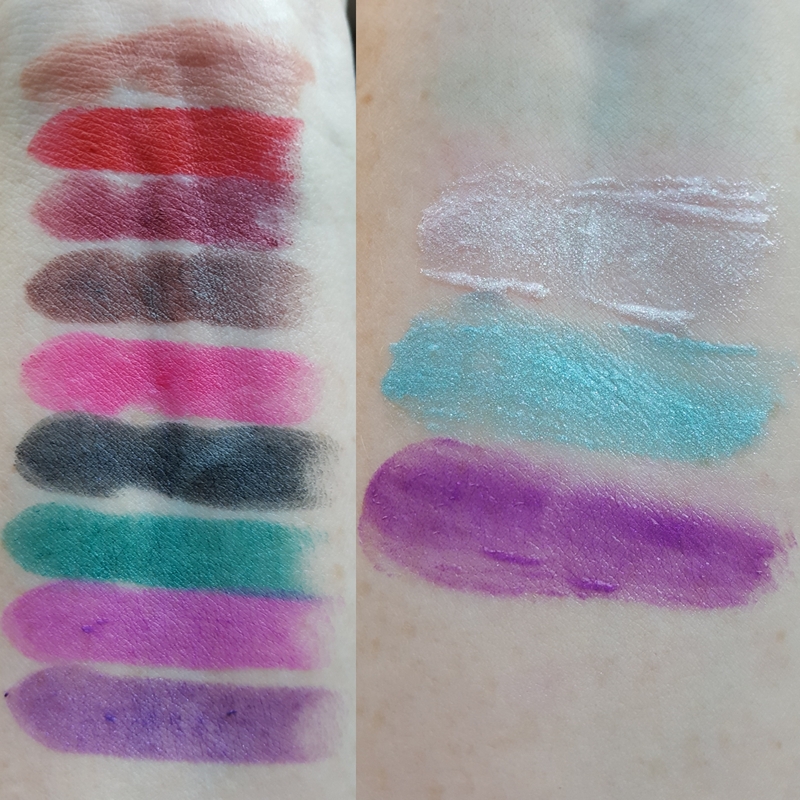 I wore them all in four thin coats, but others may be fine with two-to-three thicker ones. 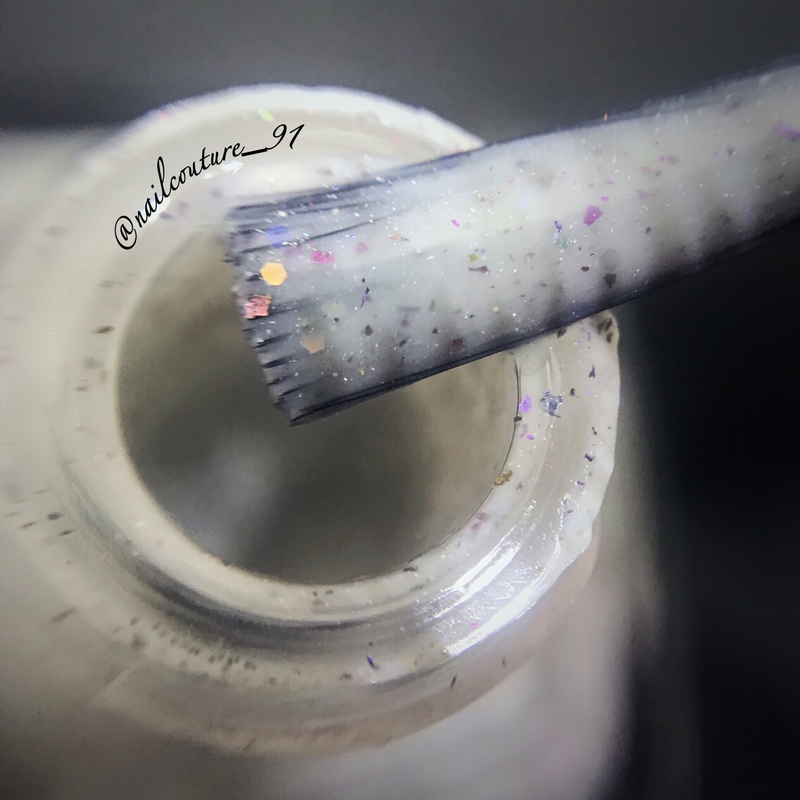 The concentration of mica pigment is perfect for ensuring good viscosity, drying characteristics, and for the ability of the holo shimmer to show through. 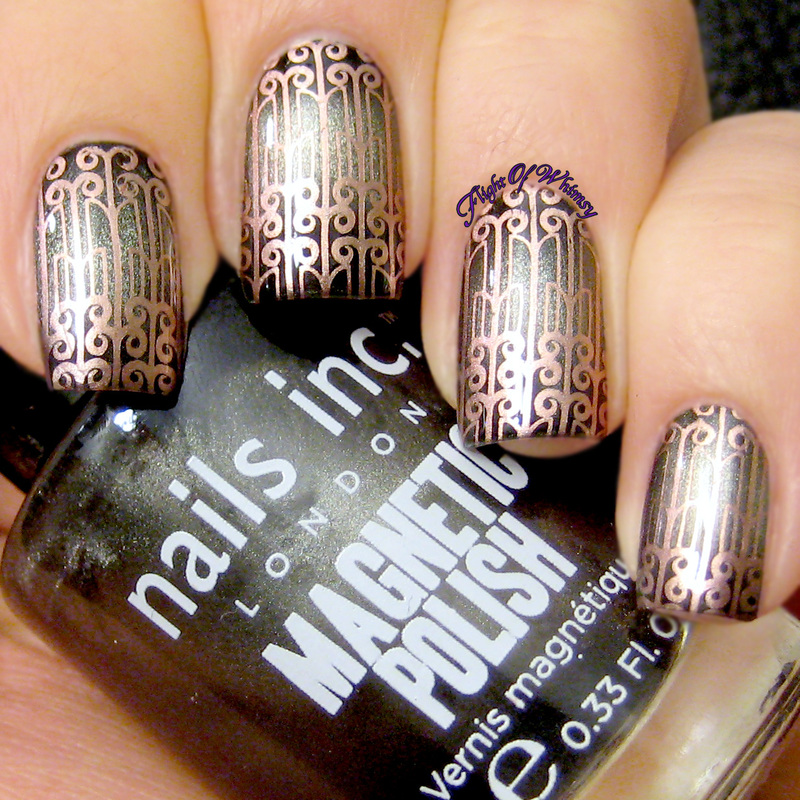 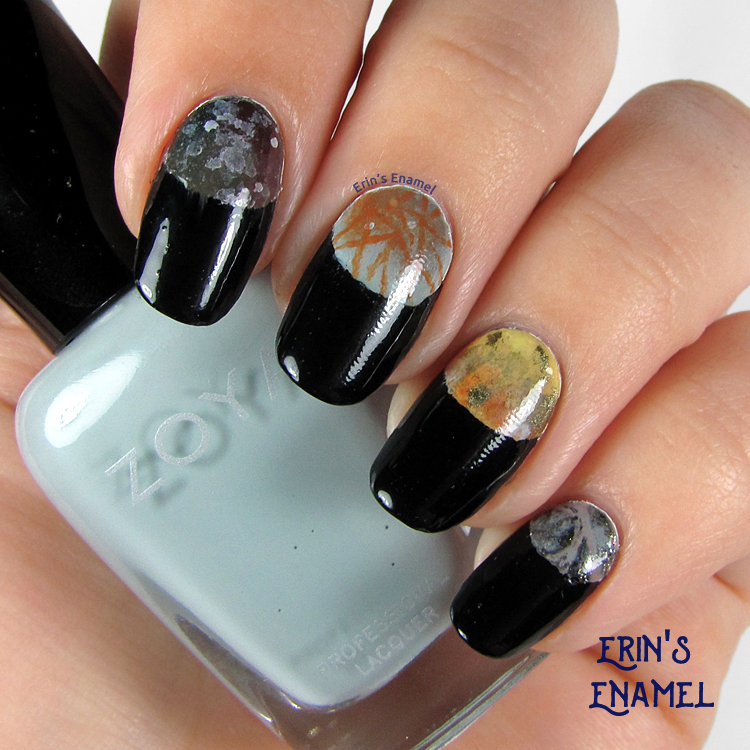 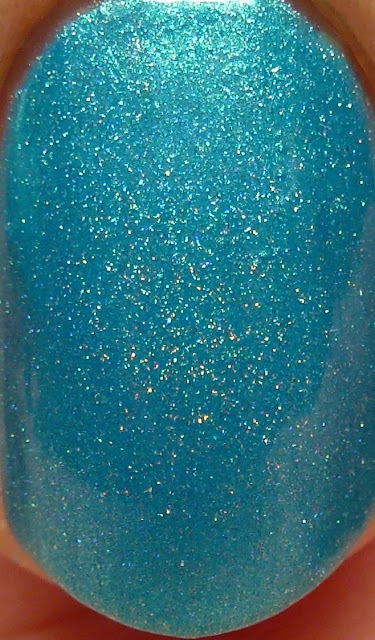 They can be layered easily for desired opacity, which is key to a good-performing mica shimmer polish. 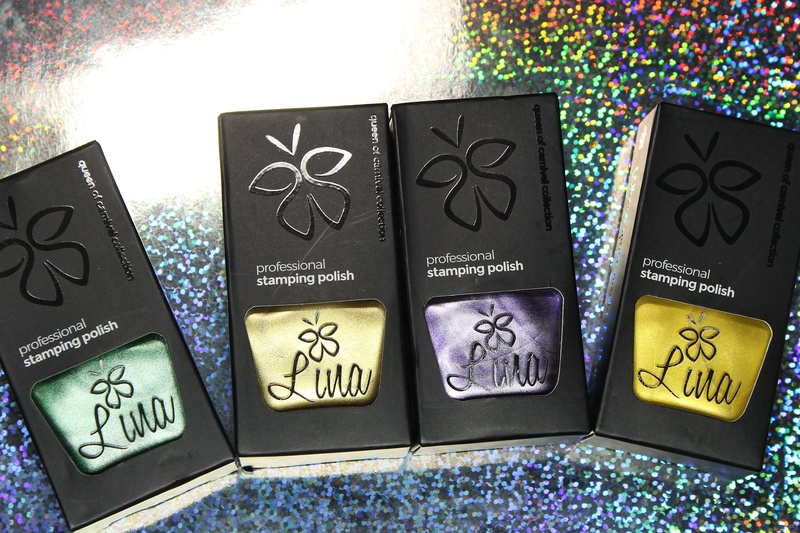 The lighter shades will show brush strokes but they are easily controlled. 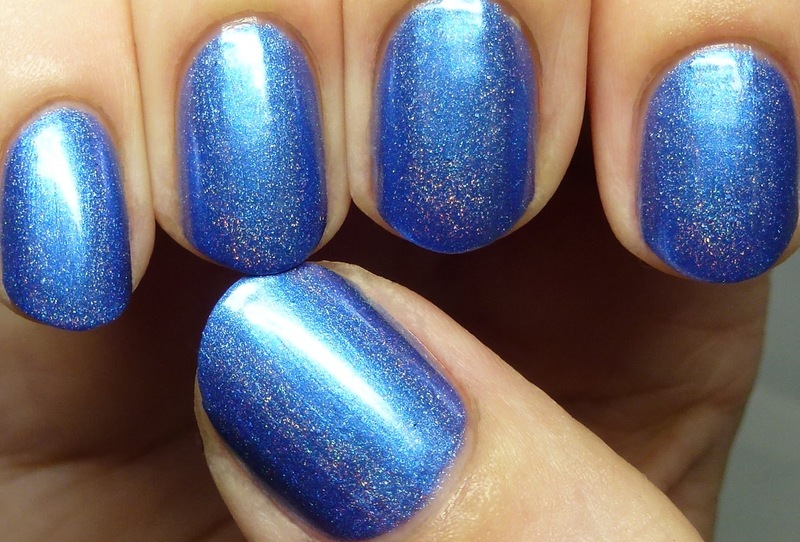 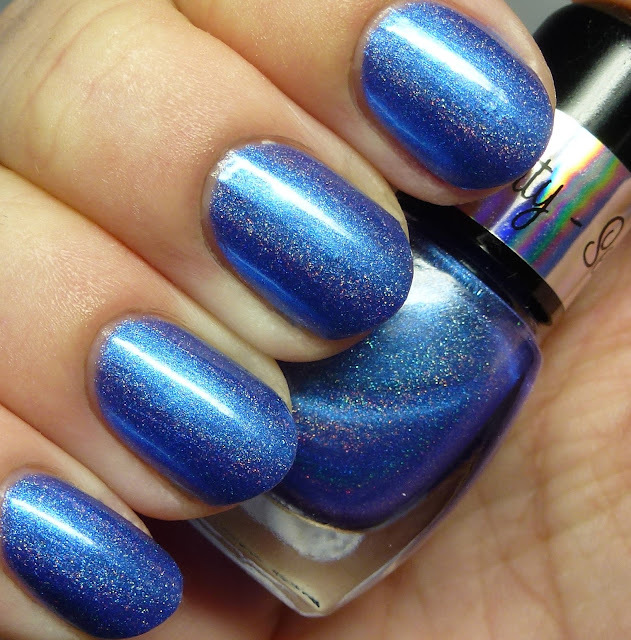 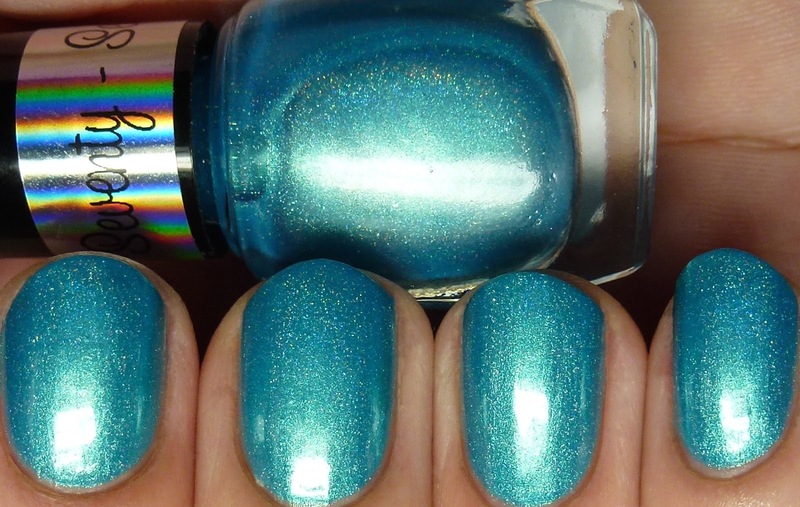 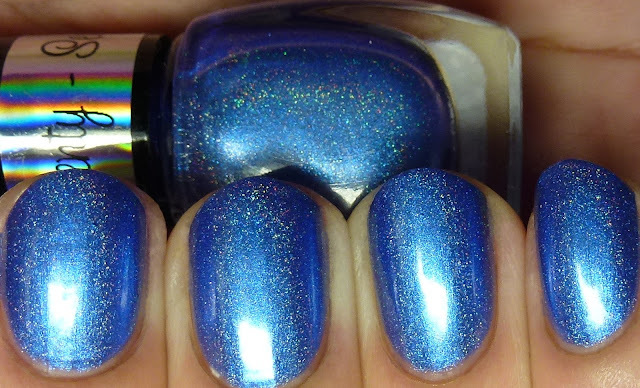 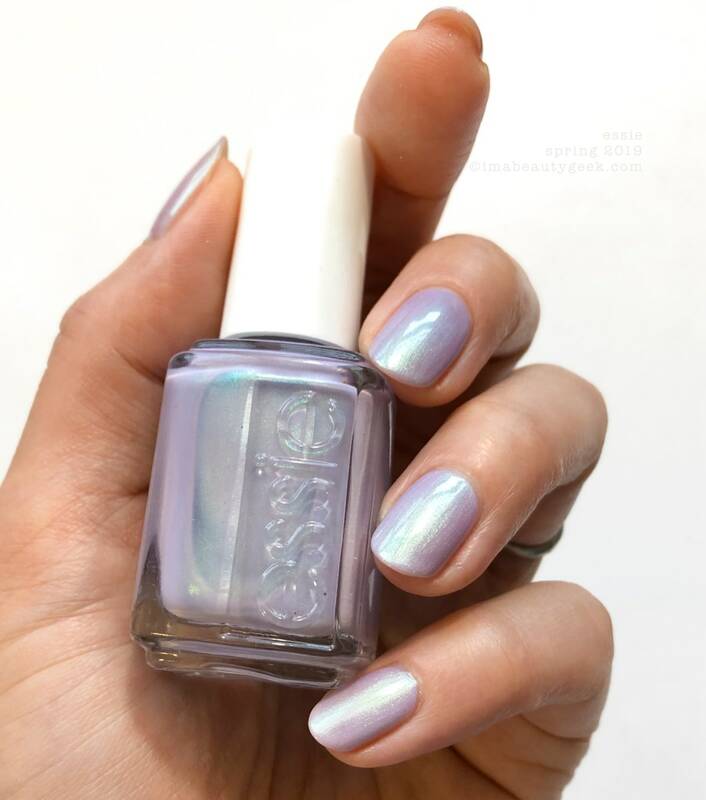 Aria is a ball blue shimmer with scattered holo. 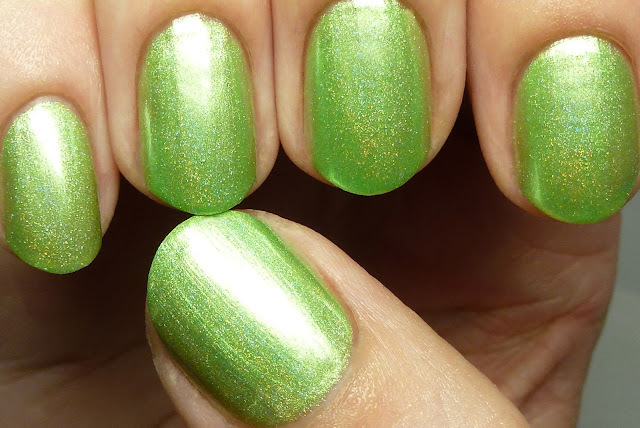 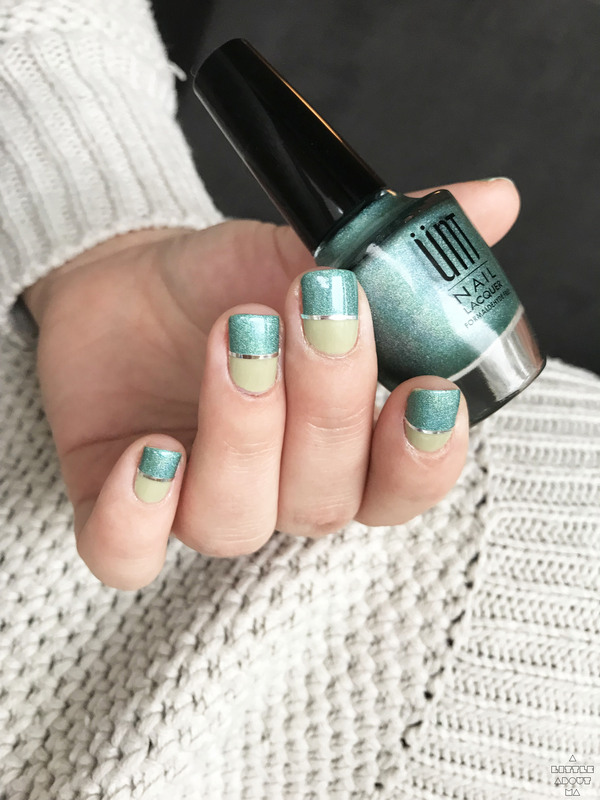 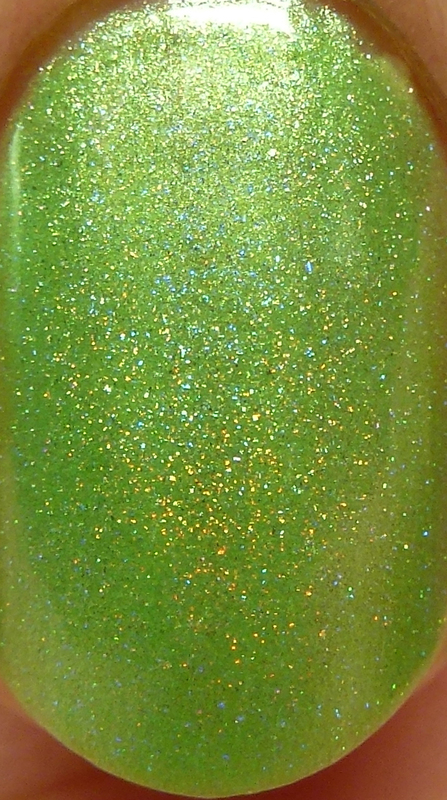 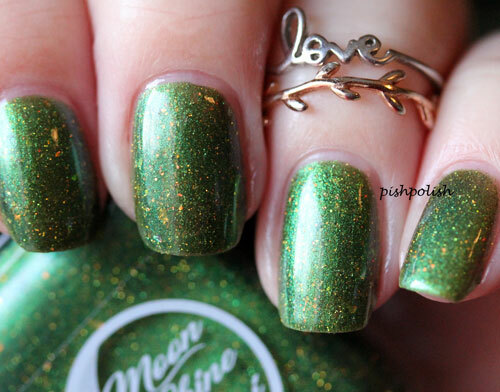 Aspen is a pale golden green with scattered holo. This one was a bit more sheer than the others and is extremely bright and reflective. 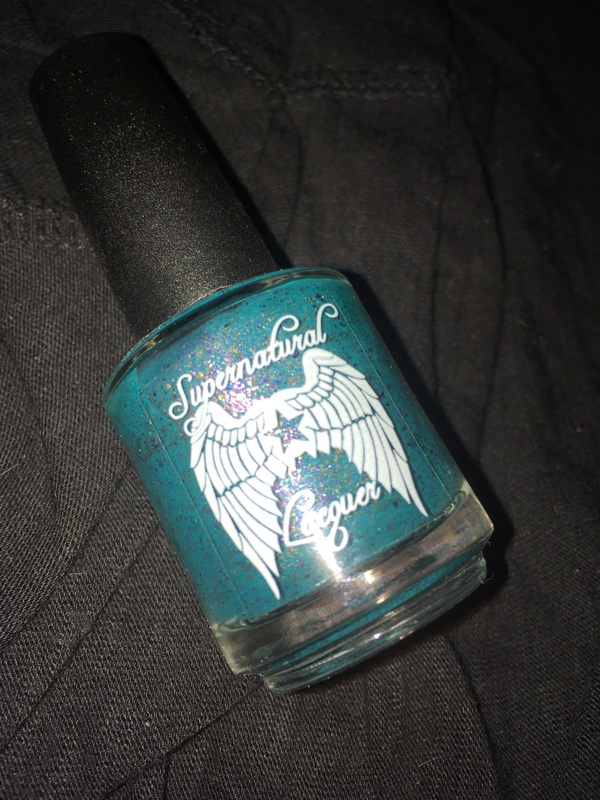 Cash was probably my favorite of the whole collection! 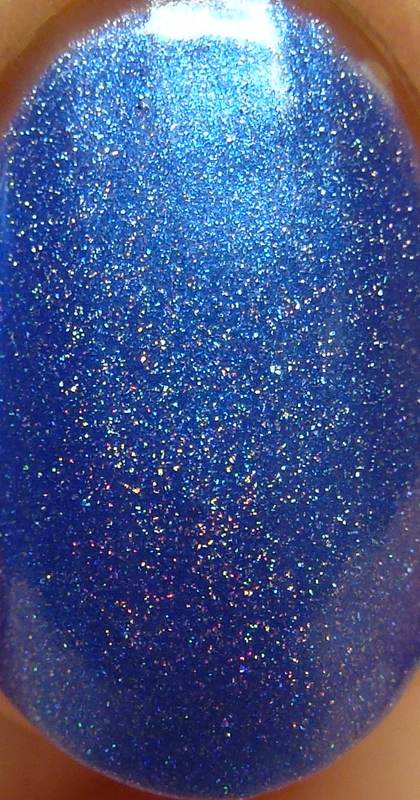 It is an indigo shimmer with strong scattered holo. 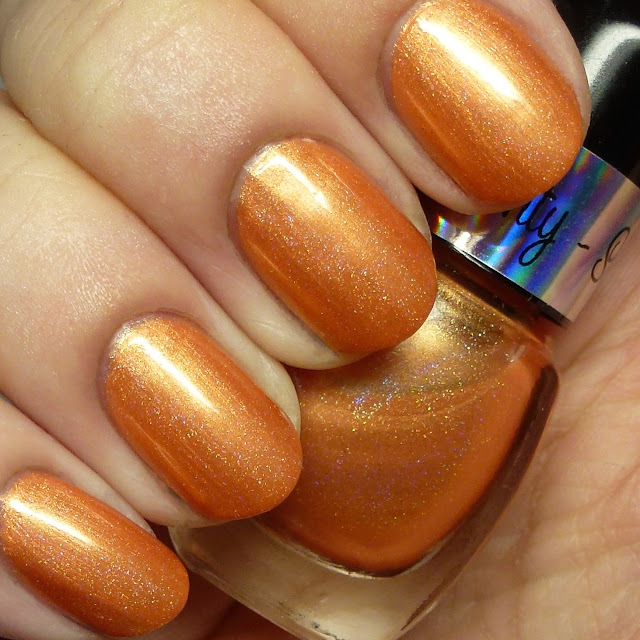 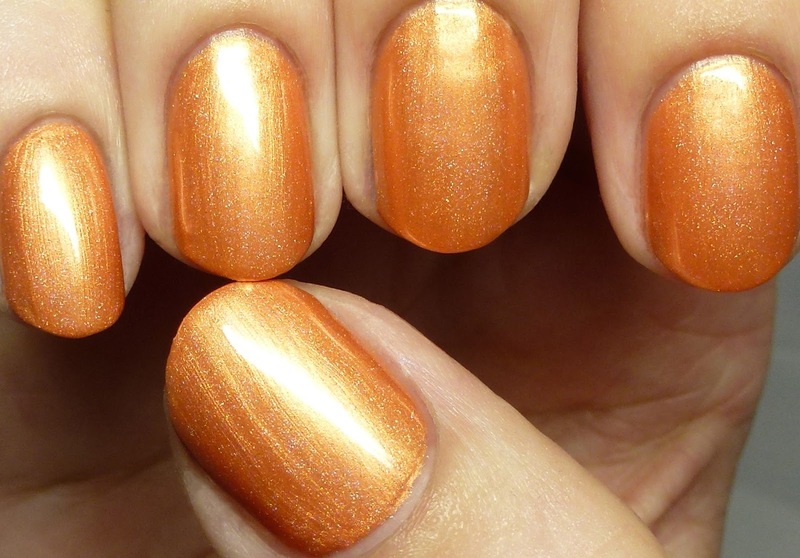 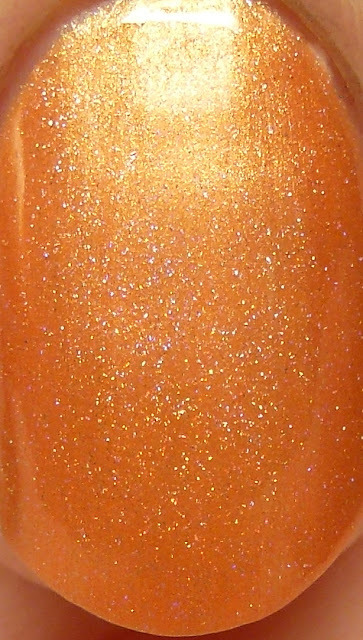 Clementine is an apricot shimmer with scattered holo. 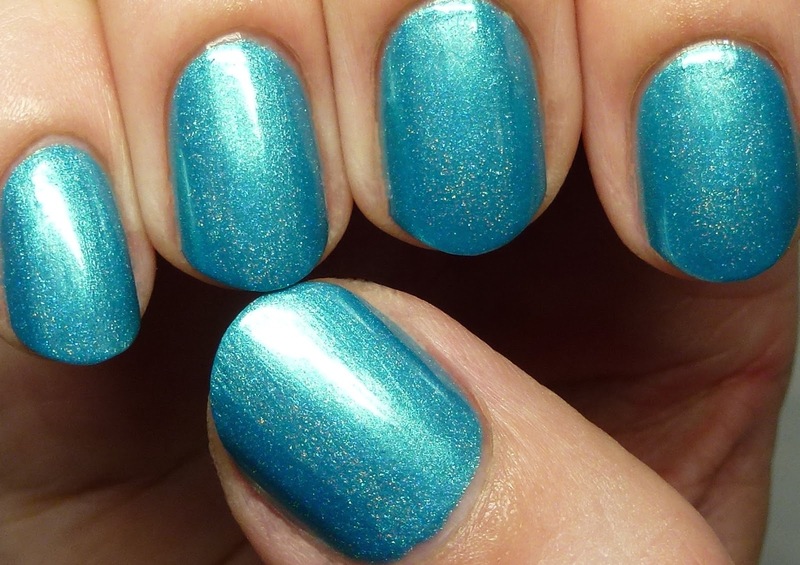 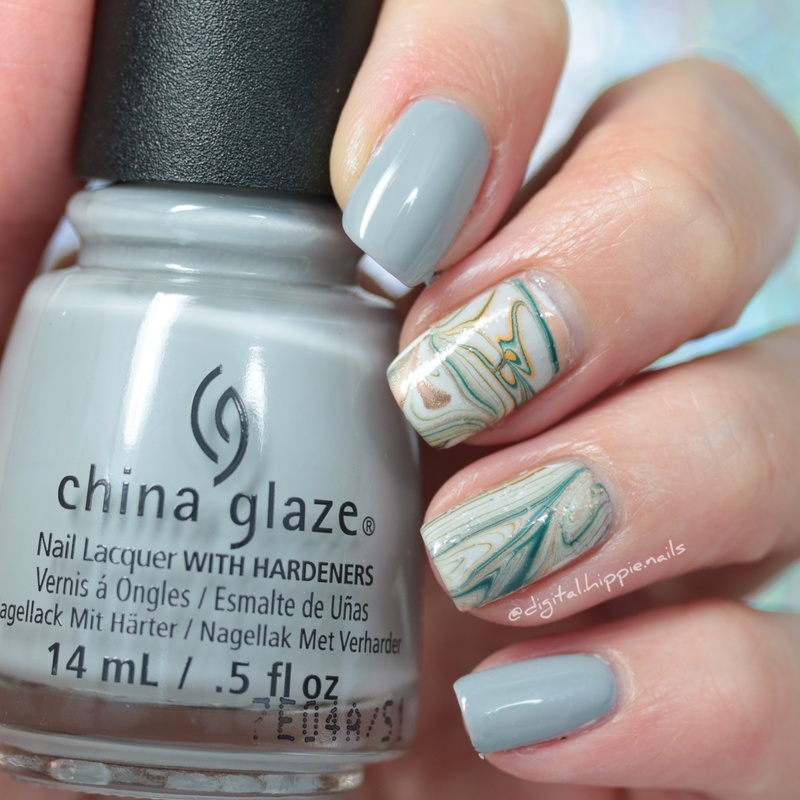 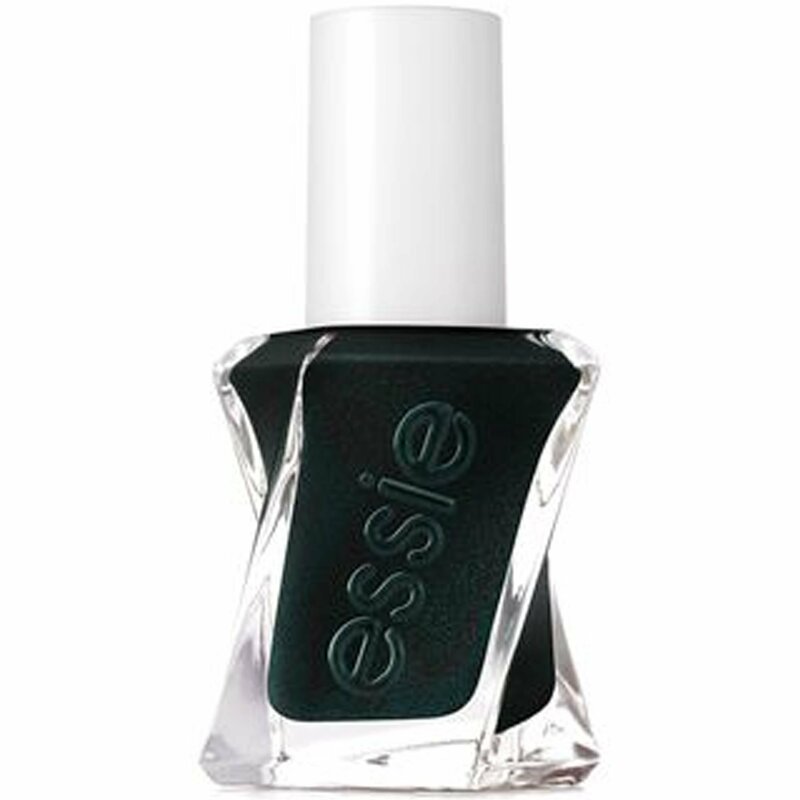 This showed a bit more brush strokes than the other shades and it is strongly reflective. 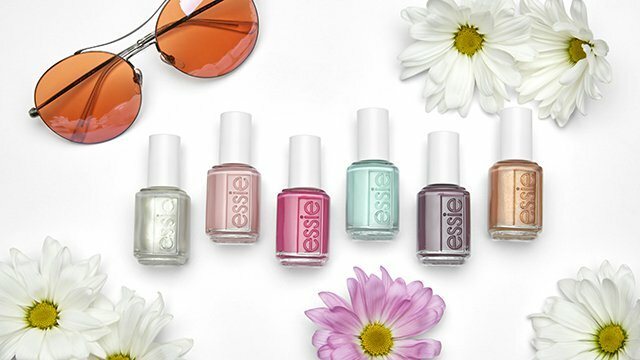 Hope you spotted some shade you like and stay tuned for the second half of my review! 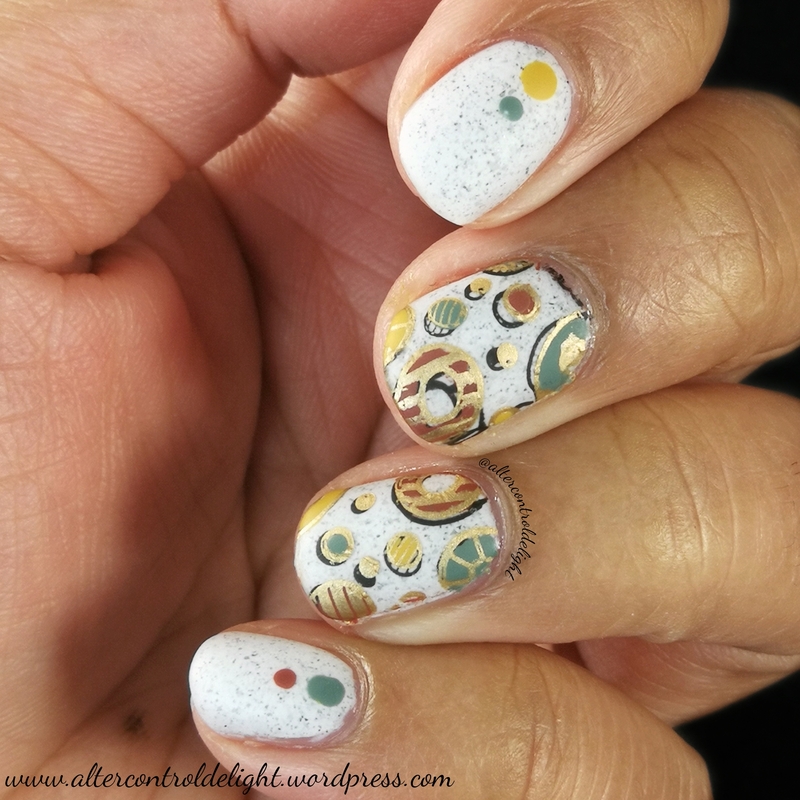 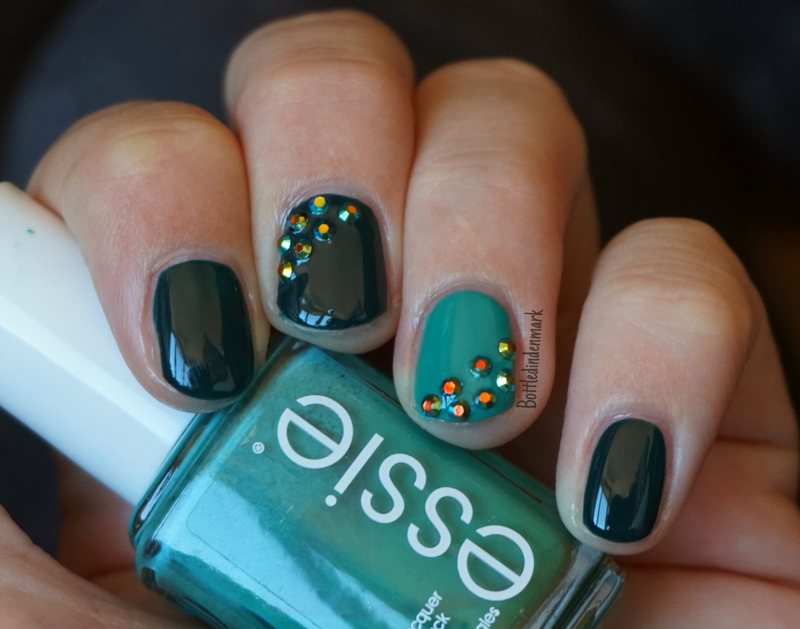 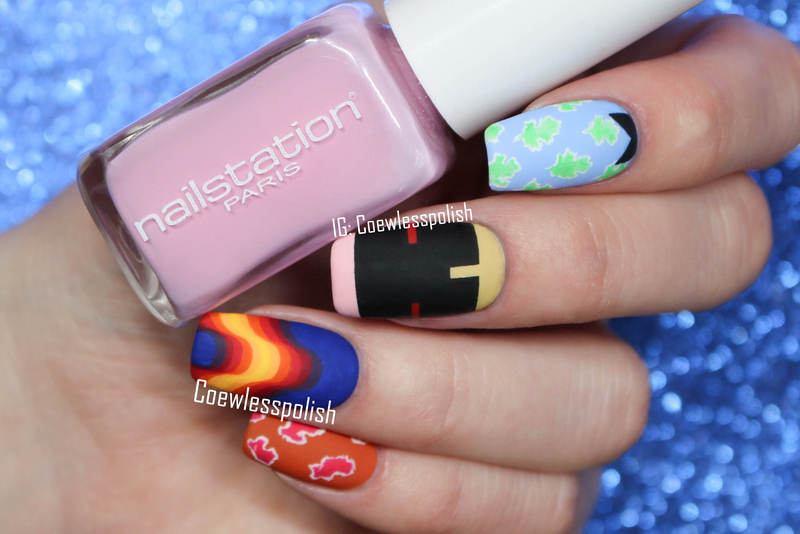 It was nice to see someone do a different take on summer brights. 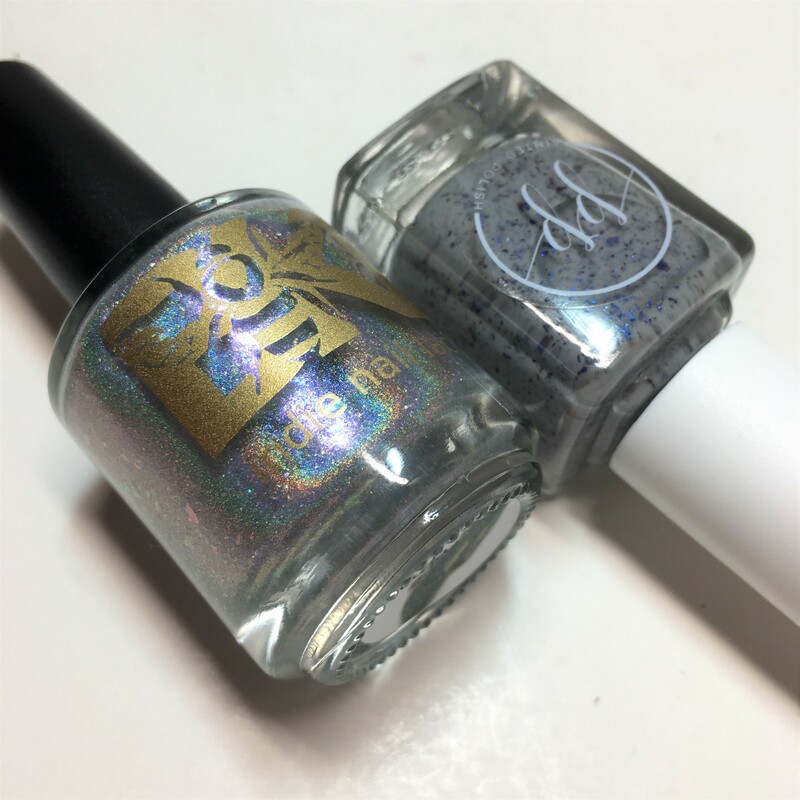 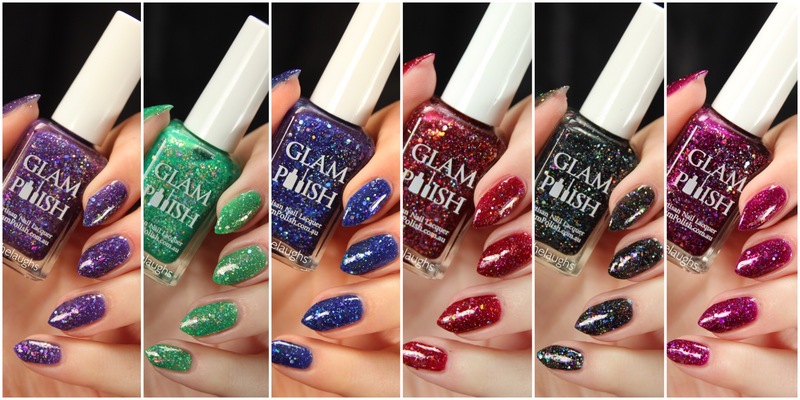 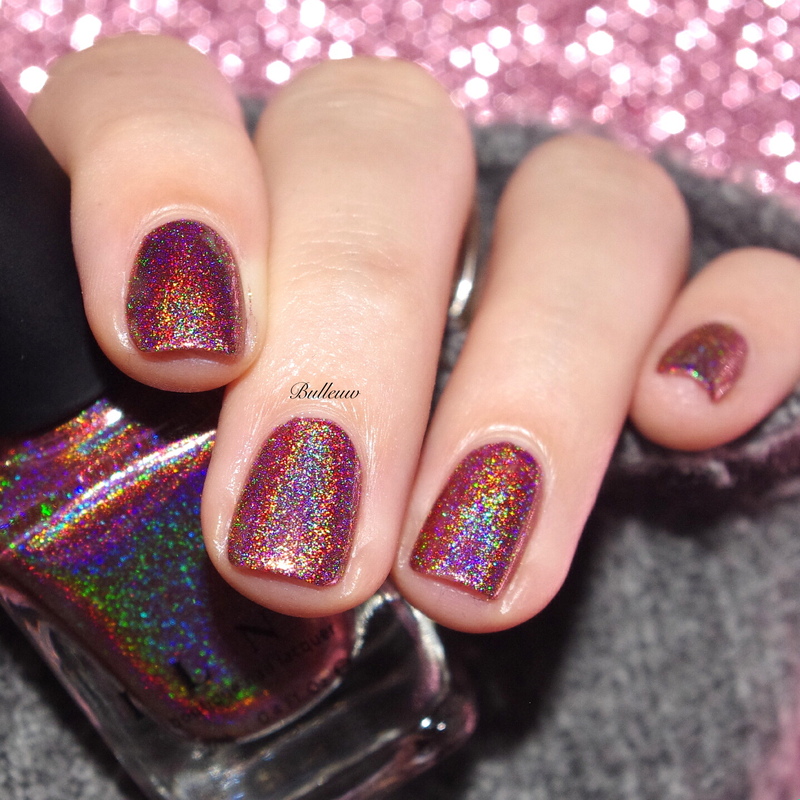 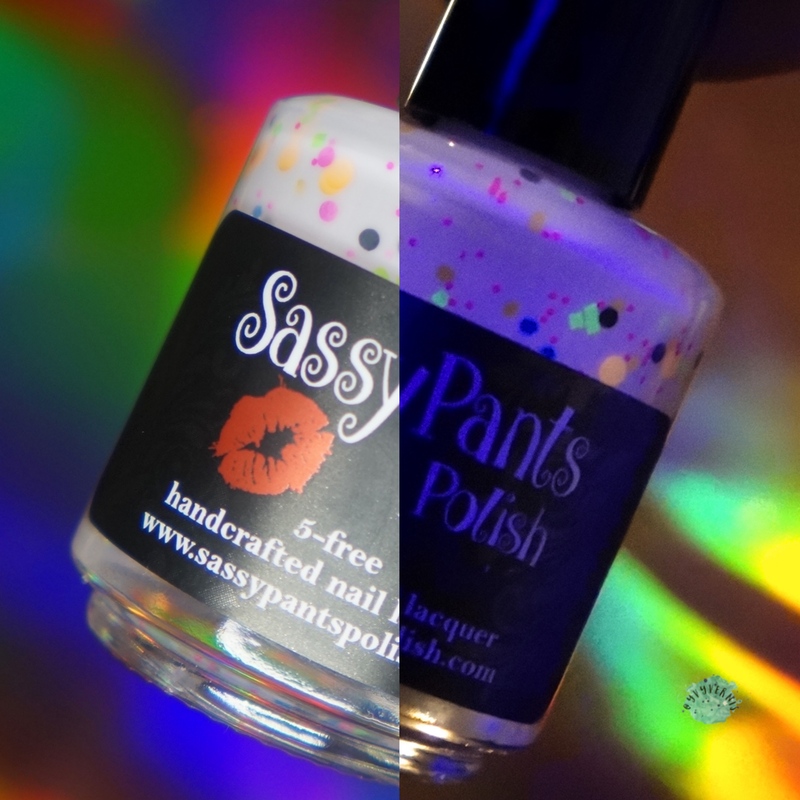 Combined with good formulas, these are a strong choice if you want a bright, reflective shimmer holo. 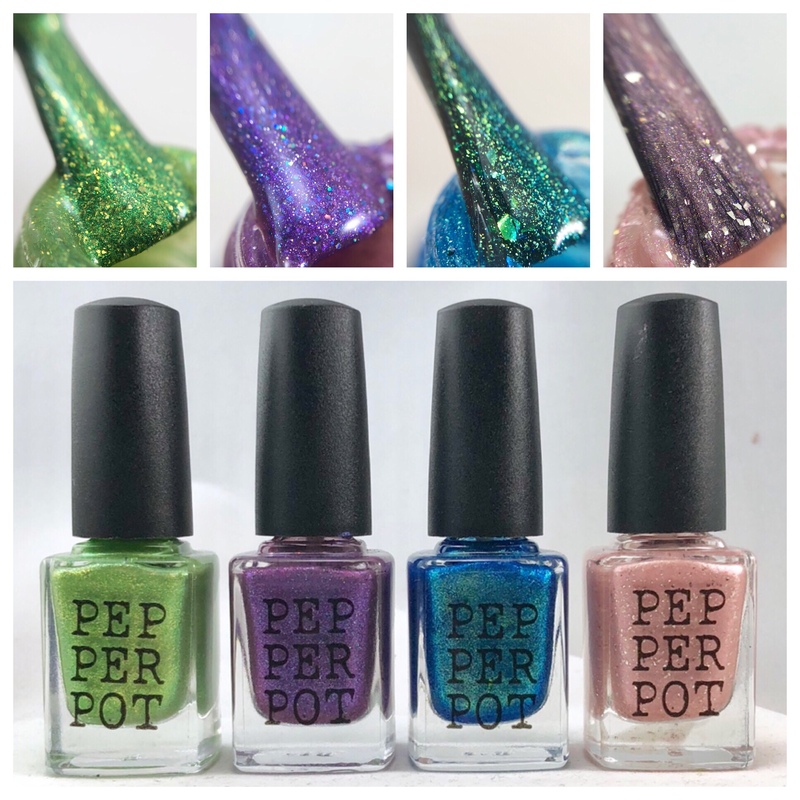 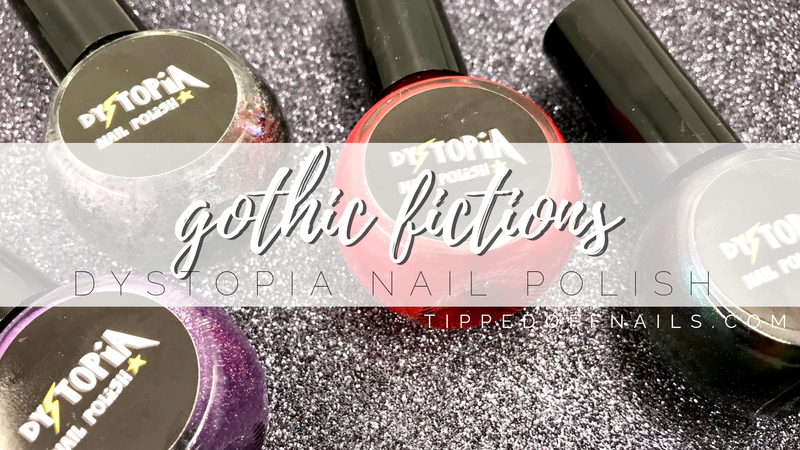 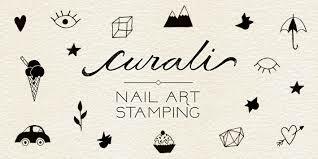 These polishes are currently in pre-order for $70 for all eight in full size, or $10 for a single full size. 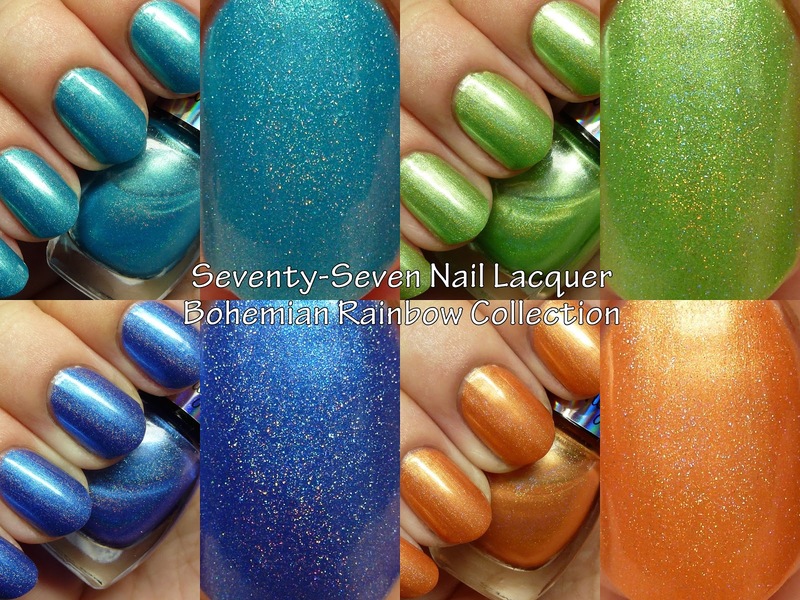 You can see the second half of the collection here.